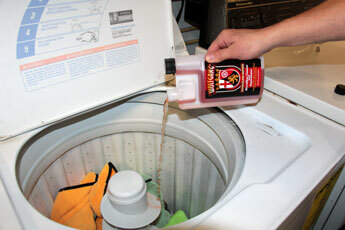 The only microfiber detergent formulated for high efficiency (HE) washing machines! Wolfgang Microfiber Cleaner and Rejuvenator is the first and only microfiber detergent formulated with the HE washing machine in mind. Wolfgang Microfiber Cleaner and Rejuvenator is a specially formulated detergent that deep cleans microfiber towels and tools, effectively removing oily and greasy residues. Wolfgang Microfiber Cleaner and Rejuvenator preserves the soft texture and unique absorption qualities of microfiber towels and tools. Highly concentrated formula only requires an ounce or two depending on the size of the load! 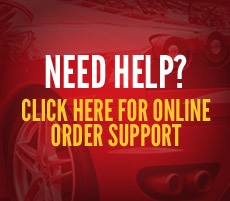 Take a minute and look at your collection of microfiber towels. 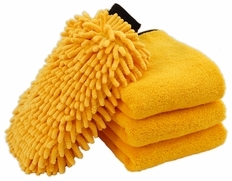 If you’re a true Auto Geek, your microfiber towel collection consists of a handful of Waffle Weave Guzzlers, Gold Plush Juniors, Miracle Towels, and the beloved Super Plush Deluxe – in all sizes of course. Fact of the matter is, microfiber towels aren’t cheap, and once you build up a collection, you should properly maintain your investment with Wolfgang Microfiber Cleaner & Rejuvenator – the first and only microfiber detergent formulated for use in high efficiency washing machines. Wolfgang Microfiber Cleaner and Rejuvenator breaks up and releases compound, polish, and wax residue, leaving your microfiber towels looking and feeling new after every wash. Unlike household detergents that contain dyes, perfumes, and fabric softeners, Wolfgang Microfiber Cleaner and Rejuvenator is a pure detergent that rinses completely clean, without foaming up or leaving unwanted residue in the towels. 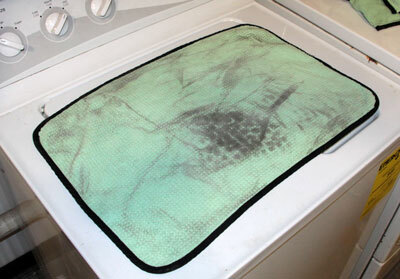 Your microfiber towels will be left in the purest form after every wash, exactly how they should be! Wolfgang Microfiber Cleaner and Rejuvenator is formulated using a complex blend of surfactants, emulsifiers, and water softeners. The clean-rinsing formula was formulated to be safe for use in all washing machines, including high efficiency (HE) washing machine models. Wolfgang Microfiber Cleaner and Rejuvenator is highly concentrated, so you only need an ounce or two depending on the size of the load. The 16 ounce bottle features a cleverly designed built-in measuring cup to ensure that you use the proper amount based on the size of the load. 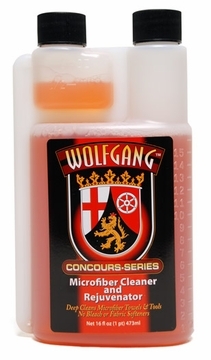 Wolfgang Microfiber Cleaner and Rejuvenator was primarily designed to clean microfiber towels and tools, but it also works great for cleaning leather chamois and terrycloth towels. 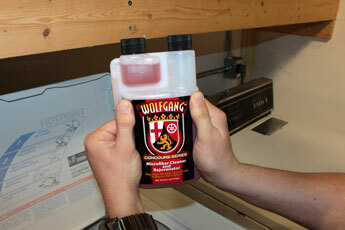 What’s more, Wolfgang Microfiber Cleaner and Rejuvenator is 100% biodegradable. 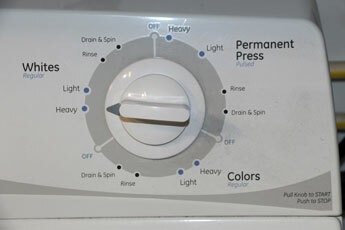 Always wash microfiber separately from other laundry. Do not use fabric softener, bleach, or dryer sheets. 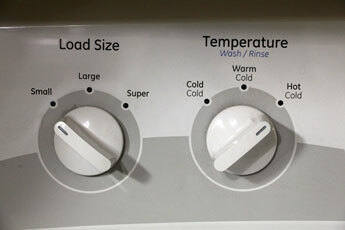 Add 1 ounce to washing machine to clean a half load of microfiber. Add 2 ounces to clean a full load. 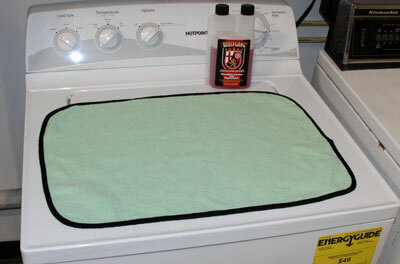 Tumble dry microfiber on low heat or no heat. Set temperature to "hot cold"
Pour into washing machine - that's it! Micro-Chenille Wash Mitt 3-Pack Choose Your Mitts!